If you’re using Microsoft Windows 8, Windows 8.1 and Windows 10, you do not need to download 3rd party ISO mounting software. 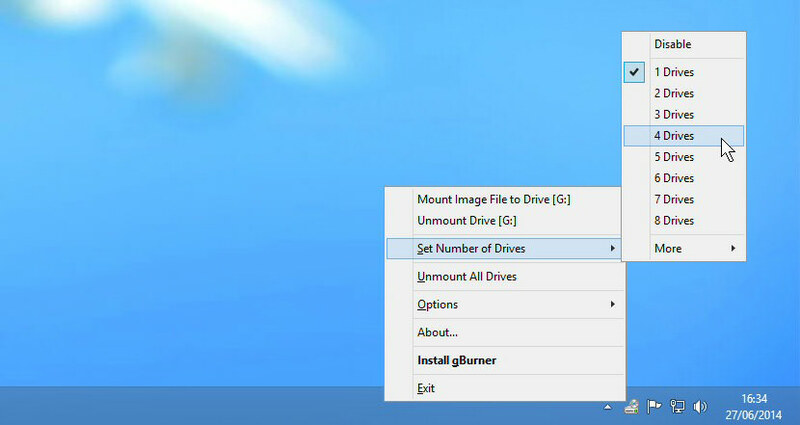 Windows 8 and Windows 10 comes with capability to mount ISO files and burn the ISO to a CD or DVD. Below is a simple tutorial on how to mount ISO image files on Windows, while you’re at it, you might find this tutorial useful – 7 Free Tool To Create Bootable Windows 7 & 10 On A USB Drive in creating a bootable ISO image of Windows. Step 2 – A new ‘CD DVD Drive’ will appear in the Device and Drivers list. Double click on the virtual CD DVD driver to access the files. To unmount the ISO files from the Virtual DVD Drive, right click on the drive and select ‘Eject’. To burn the files to a physical CD, right click on the original file and select ‘Burn This Image’. 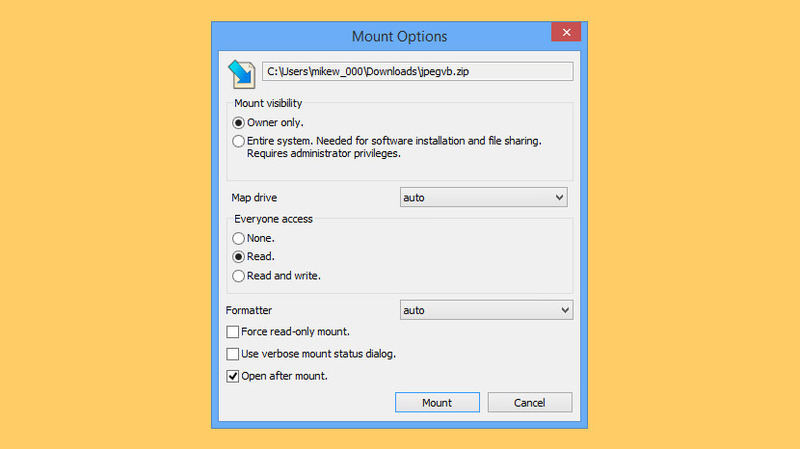 For those still using Windows XP, Windows Vista and Windows 7, here are 5 free ISO mounting programs for Microsoft Windows user. They are 100% freeware with no string attached. If you’re looking at creating Bootable USB Ubuntu Linux or Bootable Windows 10, below are 5 of the best ISO mount freeware to mount the ISO files downloaded from Torrent and extract the content, download now! Re-released in 2013, this free utility software enables users of Windows XP, Windows Vista, and Windows 7 to mount ISO disk image files as virtual CD-ROM drives. This can be highly useful for reading disk images to install software or recover backup files. Notes: This tool is not supported by Microsoft; use at your own risk. Windows 8 users do NOT need this tool. Windows 8 natively supports ISO files. 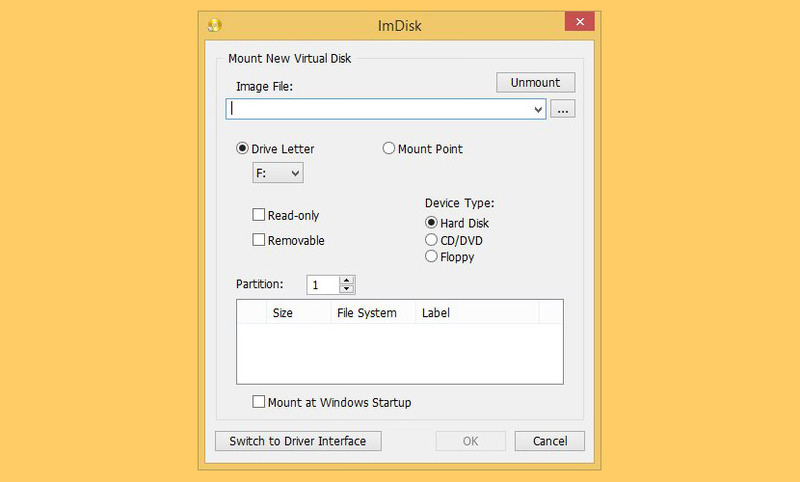 In Windows 8, you can simply open an ISO file and Windows automatically assigns it a drive letter and reads it as a virtual drive. Daemon is possibly the Best Iso Mounting Software to mount ISO. Do you need just to create or mount image file of popular format? DAEMON Tools Lite is exactly what you need. 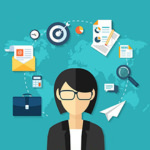 Free for home and non-commercial use, this software solution will provide you with the basic functions for operating with virtual devices. Using DAEMON Tools Lite you can create up to 4 virtual devices. Your system will recognize them like physical one, and your work will become much faster. 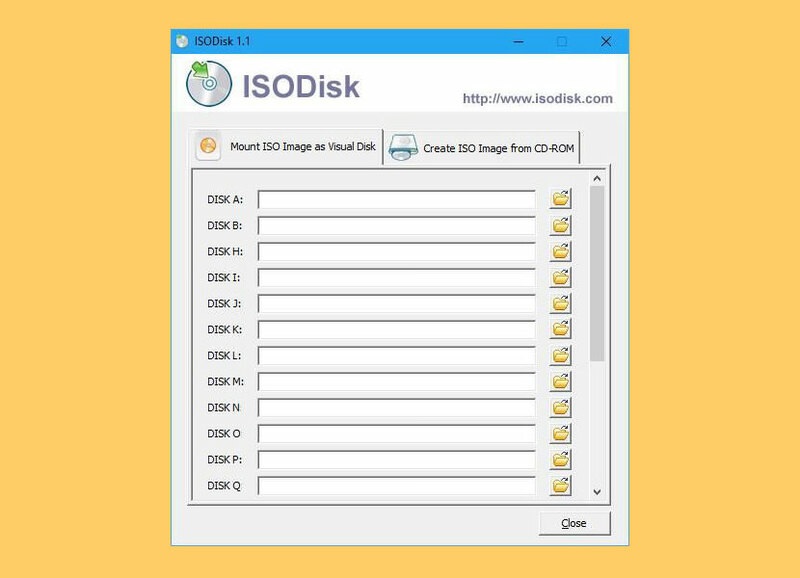 ISODisk is a FREE and powerful ISO disk image file tool, allows you to create virtual CD/DVD driver up to 20 drivers, mount an .ISO disk image and access the files on it as if it were burned to CD or DVD. This free program can quickly create ISO image file from CD/DVD-ROM, with ISODisk, you don’t need install any other virtual drive software. 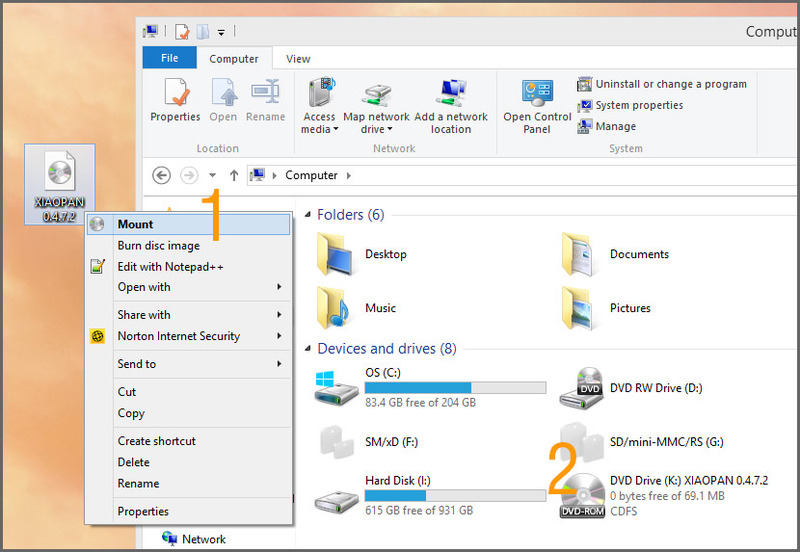 Once you map the archive to a virtual drive, you can be able to view the contents in Windows Explorer. gBurner Virtual Drive is a free utility designed for creating and managing virtual CD / DVD drives. For anyone who deals with CD/DVD-based programs – it is a MUST. gBurner Virtual Drive allows you to use almost all CD/DVD image without burning them onto CD or DVD in order to easily access your favorite games, music, or software programs. It works like a real CD/DVD-ROM: You can run programs, play games, or listen to music from your virtual CD/DVD-ROM. gBurner Virtual Drive supports all popular CD/DVD image file formats. Following is a list of all supported CD/DVD image file formats: ISO (Standard ISO File), GBI / GBP (gBurner Image Files), DAA (PowerISO Image Files), NRG (Nero Image Files), MDF / MDS (Alcohol Image Files), BIN / CUE (CDRWin Image Files), UIF (MagicISO Image Files), ISZ (UltraISO Image Files), ASHDISC (Ashampoo Image Files), DMG (Apple Mac Image Files), GI (RecordNow Image Files), BWI / B5I (BlindWrite Image Files), IMG (CloneCD Image Files), CDI (DiscJugger Image Files), PDI (InstantCopy Image Files), NCD (NTI CD-Maker Image Files), LCD (CDSpace Image Files), CIF (Easy CD/DVD Creator Image Files), P01 (Gear Image Files), PXI (PlexTools Image Files), C2D (WinOnCD Image Files), FCD (Virtual CD-ROM Image Files), and VCD (Virtual Drive Image Files). 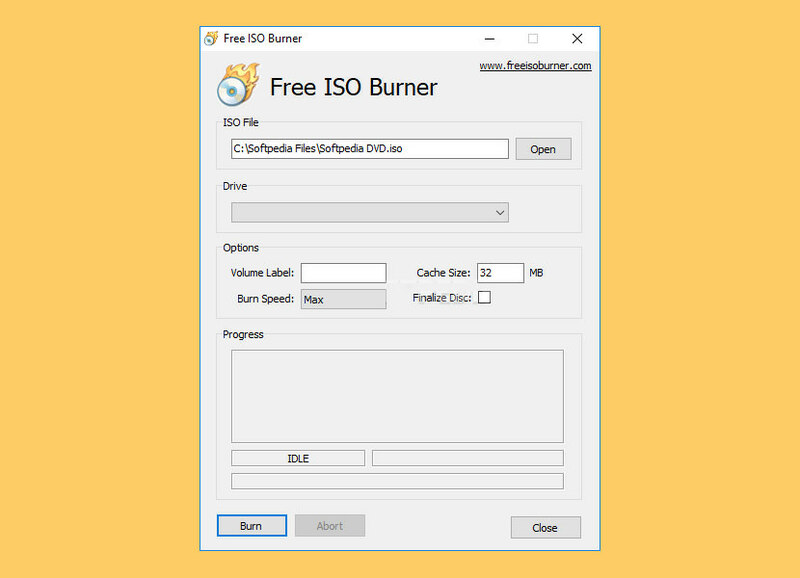 ISO Workshop is a free Windows desktop application specifically designed to facilitate ISO image management and conversion, as well as CD/DVD/Blu-ray Disc burning and copying operations. The program has a very intuitive user interface and enables you to make ISO images, extract files from disc images, create disc backups, convert and burn disc images, make exact CD/DVD/Blu-ray Disc copies. Pismo File Mount Audit Package is a Windows application that allows users to mount the contents of ZIP, ISO, Compact ISO, Compact File Set and Private Folder files to the file system as virtual folders. Pismo File Mount Audit Package is available free of charge for personal and business use. 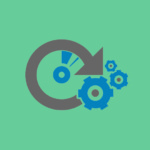 ZIP reader – Most zip archive files can be mounted as read-only folders to allow access to contents, including the ability to execute contained applications. CD/DVD image file reader – DVD and CD images can be mounted in place as a read-only folder to allow access to contents. ISO and CISO image formats are supported. Compact File Set reader – CFS files can be mounted in place as read-only folders to allow access to contents, including the ability to execute contained applications. Provides CD-RW and DVD+RW emulators that allow you to “write” data into an CD/DVD drive, you may also create ISO9660 files by using any CD/DVD burning software. Provides a CD/DVD-ROM emulator that mounts image files such as ISO, CDI, BIN, MDS, MDF, IMG, RAW, CCD, NRG in to a virtual CD/DVD-ROM drive. Provides a INetDisk client for mount INetDisk Server. 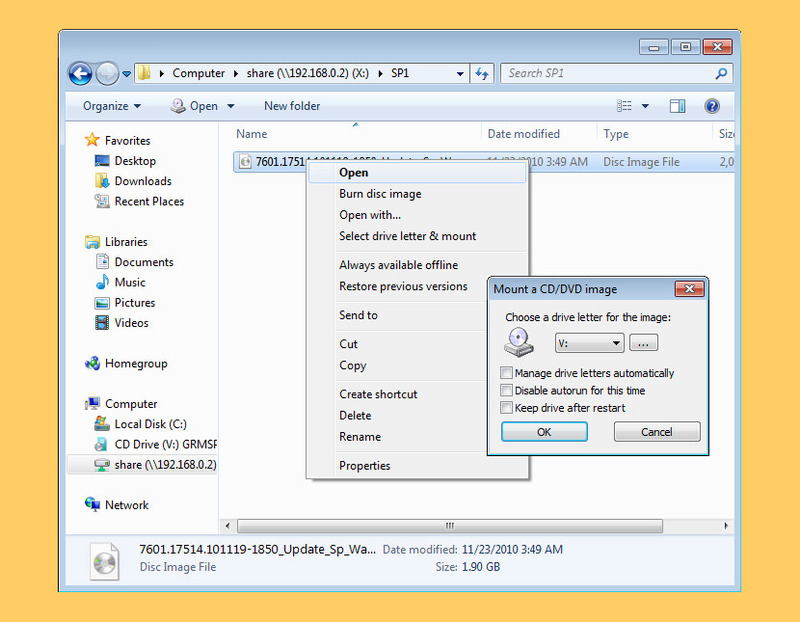 Mounts and create Image file disk’s (img) and VHD files. AES 256-BIT virtual disk encryption. Provides Virtual Write technology, so that you can copy files into a read-only drive and do not affect other people using other clients. Provides as many as 8 virtual drives. 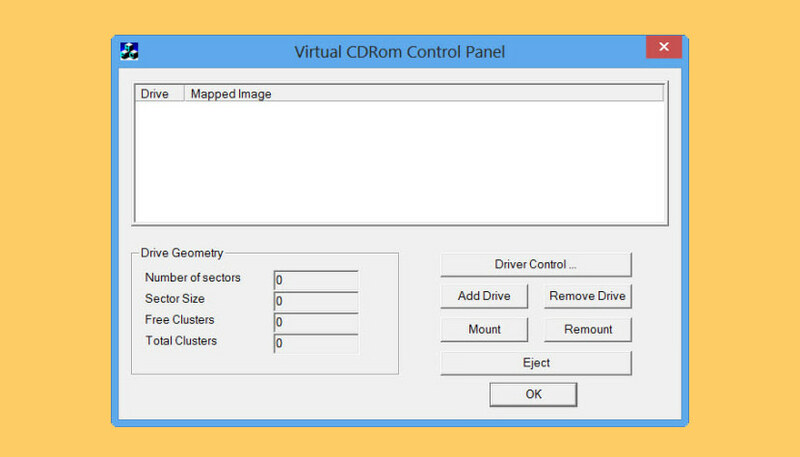 This tool will let you mount image files of hard drive, cd-rom or floppy, and create one or several ramdisks with various parameters. 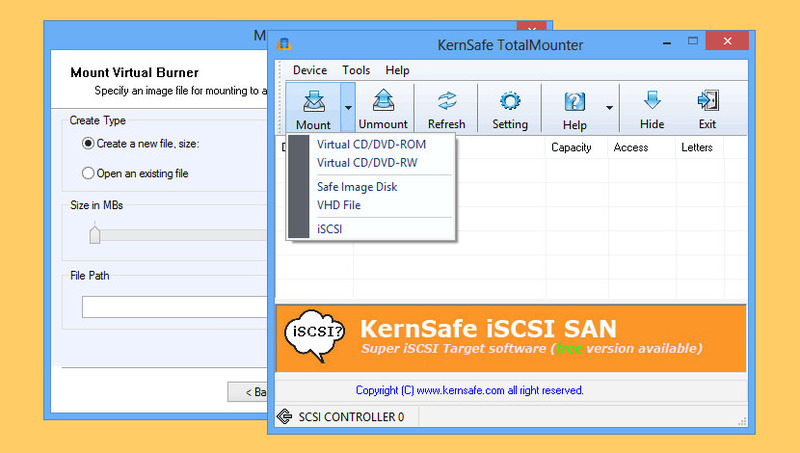 This all-in-one package includes the ImDisk Virtual Disk Driver, the DiscUtils library that extends the number of supported image file formats, and adds several GUIs and features. 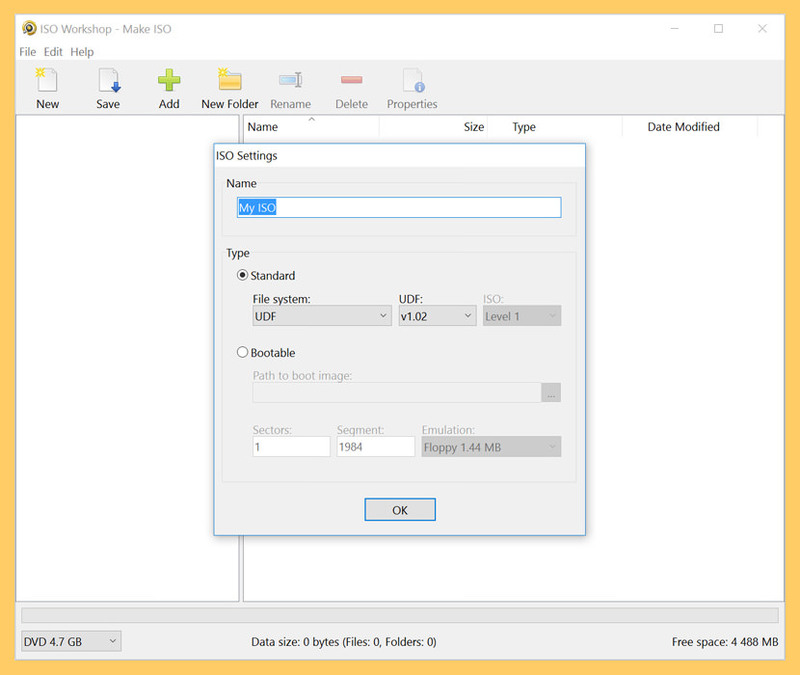 DVDFab Virtual Drive is a virtual DVD/Blu-ray emulator. 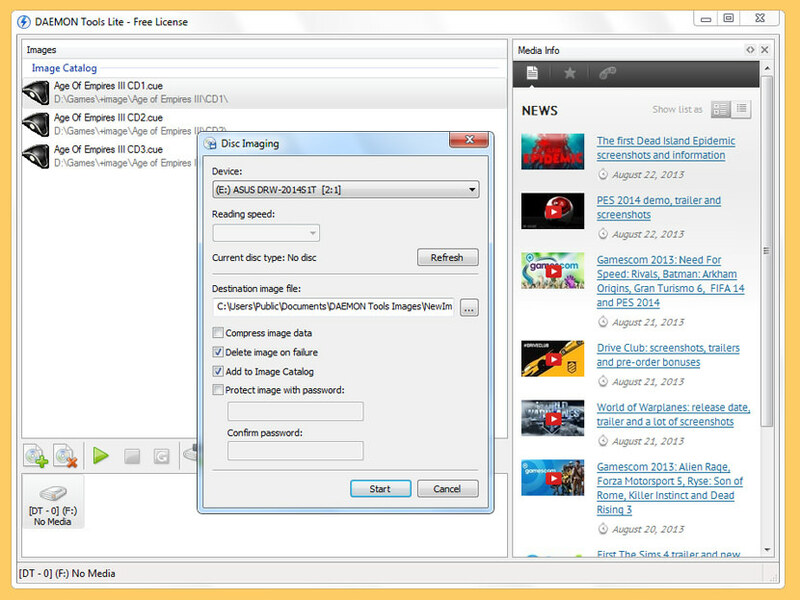 It emulates a maximum of 18 drives and works with DVD/Blu-ray images created by DVDFab and other programs. Supported formats are DVD ISO image file, Blu-ray ISO image file and System Requirement are Windows 8/7/Vista/XP (32-bit/64-bit) X86/X64. What is an .iso file? An ISO image is an archive file of an optical disc, a type of disk image composed of the data contents from every written sector on an optical disc, including the optical disc file system. ISO image files usually have a file extension of .iso. The name ISO is taken from the ISO 9660 file system used with CD-ROM media, but what is known as an ISO image might also contain a UDF (ISO/IEC 13346) file system (commonly used by DVDs and Blu-ray Discs). Finally I can hear some good thing from Windows 10. I have been using it for a month, and have experienced errors, applications deleted and the sound of my coputer still does not work!! I REALLY DO NOT recommend it unless you are pretty sure it will work perfectly in your computer. 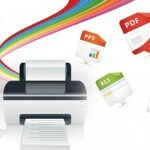 For those still using Windows XP, Windows Vista and Windows 7, here are 5 free ISO mounting programs for Microsoft Windows user. They are 100% freeware with no string attached. If you’re looking at creating Bootable USB Ubuntu Linux or Bootable Windows 10. Deamon tools used to be the best iso mounting software. Now it’s bundled with malware which installs in the background when you launch the DT installer. Don’t use it anymore.